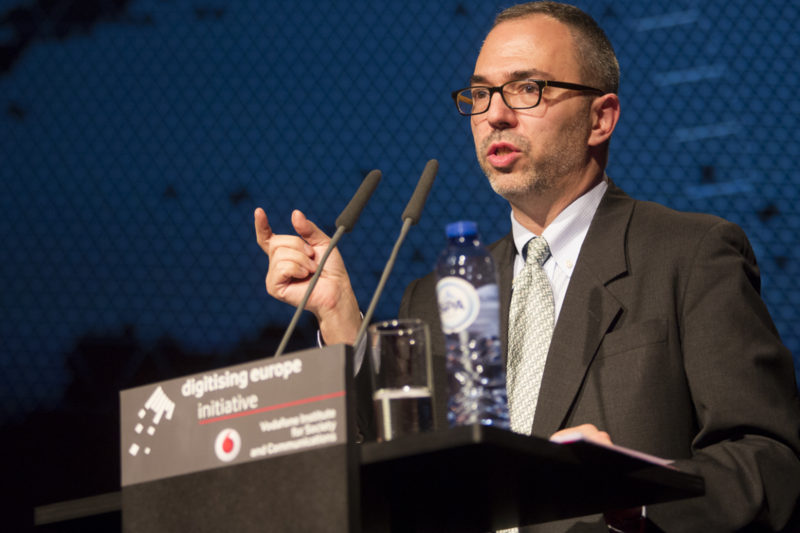 European centre Brussels saw the second round of "Digitising Europe Initiative" – Journalist Kenneth Cukier pointedly animated the current discussion on the relevance of Big Data. 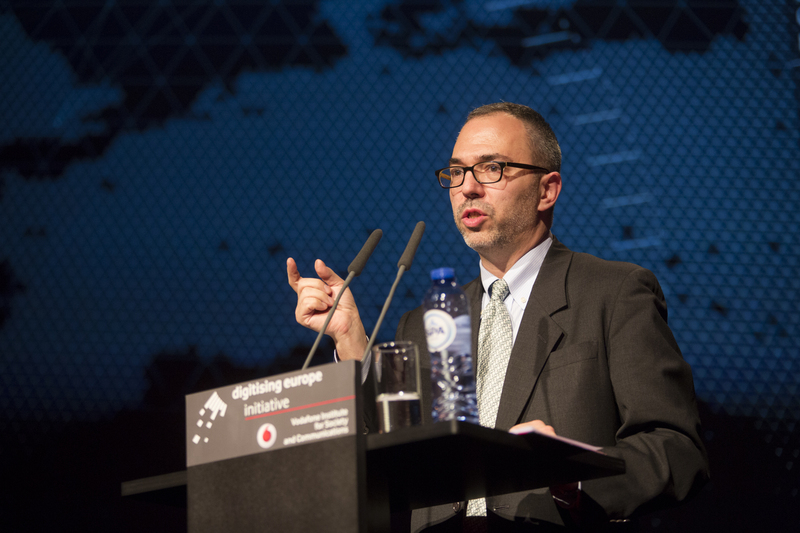 Brussels, 25 January 2016 – Author and journalist Kenneth Cukier (The Economist) insistently positioned himself as advocate of the gathering and analysing of data. 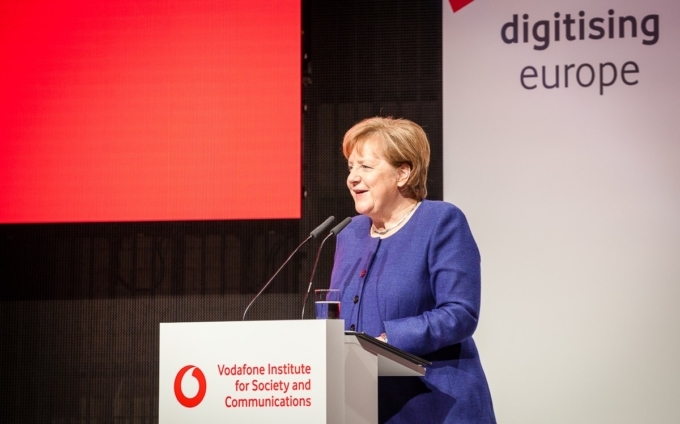 Speaking at Vodafone Institute for Society and Communication’s “Digitising Europe Initiative” in Brussels, he said: “Not using data is the moral equivalent of burning books.” At the same time Cukier sent a reminder about a responsible handling of data. Likewise, Dr Linnet Taylor (University of Amsterdam) in her talk pointed out the potential that big data entails, nonetheless concluding: “Big data itself doesn’t solve problems.” Wise political decision making and adequate infrastructures needed to be seen as premises of the future process. 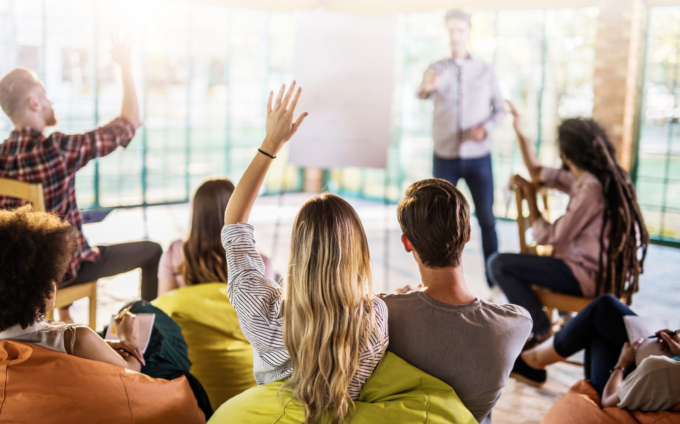 The subsequent interview saw Giovanni Buttarelli, European Data Protection Supervisor, speaking of a “false dichotomy” between data-based business models on the one hand and data protection/transparency on the other – both needed to be harmonised. 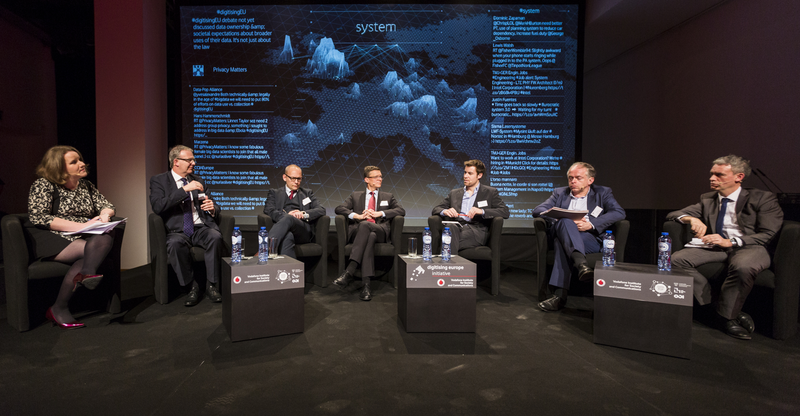 Buttarelli expressed openness to new perspectives. 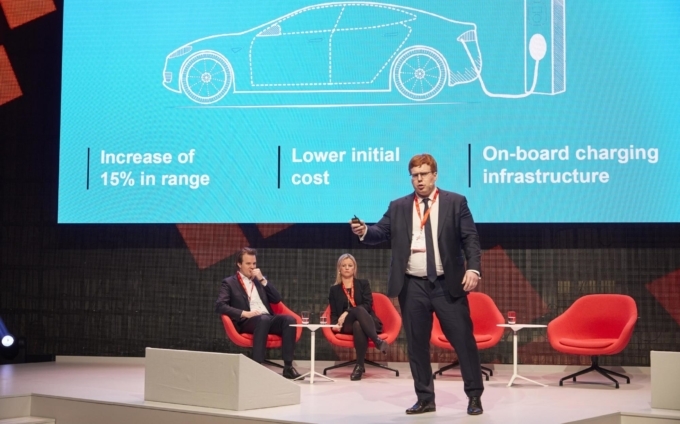 Host Matthew Kirk, Vodafone Group’s External Affairs Director and Chairman of the Vodafone Institute’s Advisory Board, had opened the event and welcomed more than 130 guests in Brussels’ well attended Palais des Beaux-Arts. Journalist Frances Robinson moderated. Further panel attendees were: Eric Mamer (Deputy Head of Cabinet of EU Commissioner for Digital Economy and Society Günther Oettinger), Axel Voss (Member of the European Parliament, Vice-Chair Committee on Legal Affairs), Nicklas Lundblad (European Public Policy Director at Google), Joe McNamee (Executive Director at European Digital Rights), Prof Dr Nico van Eijk (Professor of Media and Telecommunications Law, University of Amsterdam), Rob Shuter (Chief Executive Officer, Vodafone Netherlands) and Yves-Alexandre de Montjoye, Ph.D (Massachusetts Institute of Technology and Harvard University/Research Affiliate Data Pop Alliance). A video-recording of the complete event can be find here. 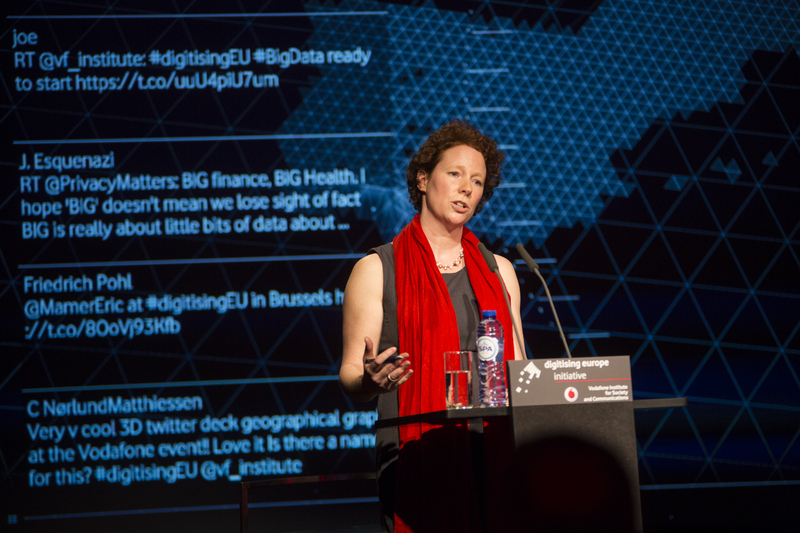 For a social media review please use the Twitter hashtag #DigitisingEU.